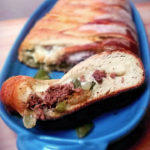 But I’ve only vaguely stepped into actually toying with what I defined as a cheesesteak, breaking my golden rule once and adding green peppers into a super easy calzone inspired by the infamous Philadelphia sandwich. And guess what? It was good. I also used Steak Ums. And I added mushrooms. I can feel the Philadelphian disapproval growing, but just hear me out, guys… ok? 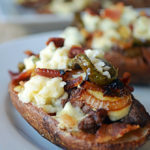 I came to realize eventually that there are a lot of ways you can use the Philly favorite food as a base for some pretty awesome, easy recipes, and since then I’ve made Cheesesteak Nachos and Cheesesteak Eggrolls (both of which were great, but I didn’t make them at home so I couldn’t photograph them for the blog). 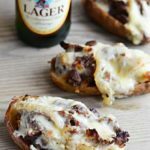 So, since Buzzfeed recently featured my recipe for Buffalo Chicken Potato Skins and they were pretty well received, I decided to make another potato skin recipe, this time filling them with– you guessed it– cheesesteak! These were really tasty and not difficult at all to make. 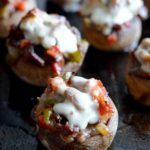 They wound up making a great Super Bowl food and would be perfect for your next party appetizer. 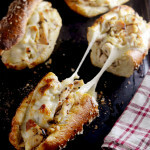 Give them a go, wash them down with a Yuengling Lager or Yards Brawler, and enjoy! Place potatoes onto a baking sheet. Brush potatoes liberally with canola oil. Bake the potatoes for about 1 hour. Let the potatoes cool for about 30 minutes. Preheat the oven to 450 degrees. Cut each potato in half, lengthwise. Scoop out the majority of the potato with a spoon, leaving a layer above the skin. Generously brush the potato skins with oil again. Place in the oven, skin-side up, for another 5 minutes. Then flip, brush with oil, and place in the oven for an additional 5 minutes. While the potatoes bake, make the steak. Add the steak and saute until cooked to your liking. Season with salt and pepper. 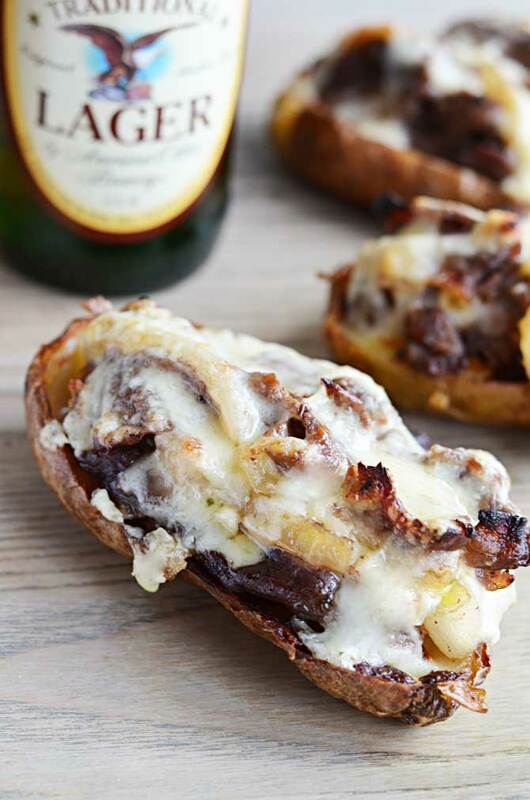 Remove the potato skins from the oven and fill them with the steak. Top with some of the havarti and then tear up the provolone and place on top. Heat the broiler to low. 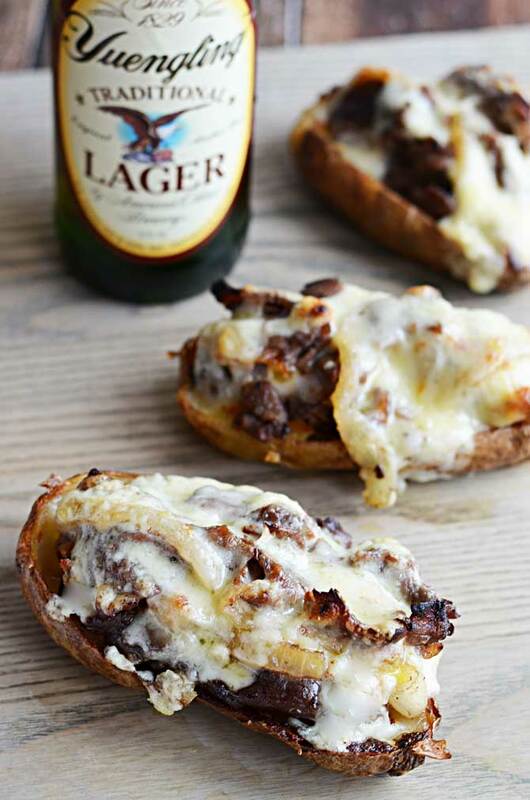 Place the filled potato skins under the broiler for a minute, or until the cheese is melted. Serve immediately with your choice of dip.